Jombang district is located in the central part of East Java Province. Jombang has a natural beauty and tourism potential. 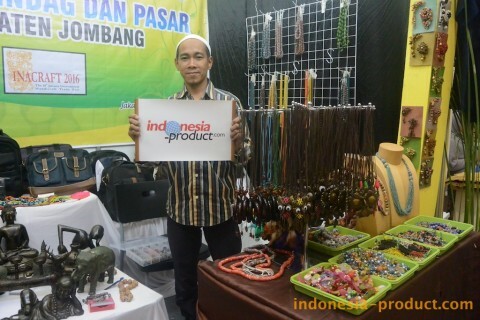 If you will travel there, take home souvenirs that have typical craft of Jombang. 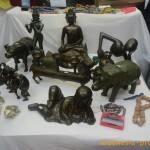 There are three forms of handicrafts typical of Jombang, there are bead, brass, and bronze handicraft. Using waste materials inside the kind of brass, the craftsmen at the side of Ganesya 1 Gallery, one of many bronze craft galleries in Jombang, ready to create works of art from metal to form and pattern that resembles a work of art royal relic identical to the statue of Ganesha, Buddha statues, and quite a lot of other sculptures. Buddha and Ganesha statue are made up of various sizes as well, started from the smallest about 5 cm up to biggest with 3 meters in this size. Now, there are orders by foreign tourists from Australia, Europe, and other countries in huge quantities for miniature and huge statue. 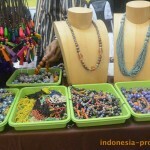 In addition to brass and bronze craft, Ganesya 1 Gallery produces beads accessories craft with variety colors and designs. 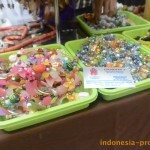 Beads (glass beads) that original from Jombang are from broken glass which is recycled and given a unique color then molded into variety of accessories. The beads products of Ganesya 1 Gallery are increasingly fluttering not only circulated in Indonesia, but also into worldwide. All accessories jewelries such as necklaces, bracelets, key chains, brooches and belt strands in this gallery are beautiful, unique, and elegant. Type of beads are also increasingly diverse. Beads are also combined with other materials, for example copper or other metals. Concerning the design, the craftsmen also meet customer demand, even to meet market demand, the craftsmen of this beads craft always follow growth mode based fashion bead jewelry world via the Internet. Interested with beads accessories and brass handicraft product? please visit Jombang and contact Ganesya 1 Gallery.